I was warned in advance that "Avatar" is a very long and intense movie, and my second-biggest fear Monday afternoon was that my hummingbird-size bladder would dictate the pace of my movie watching. Luckily, I had the iPhone app RunPee (ed. note: video review here) to coordinate my visits to the men's room once the film had started. I was in full command of both the 3-D technology and my 3G technology as I transported myself between Pandora's laboratory and a Pompano Beach lavatory. Run Pee suggests the best times during a movie to make a run to the bathroom or get a snack without missing too much of the plot. "Run Snack" isn't as catchy an app name. The first recommended break was at 56 minutes (I just made it). The app gives you the cue: When flying through the floating mountains, Trudy says, "You should see your faces." RP also provides a synopsis of what you are missing. Urologists everywhere should take note. After Northwestern Memorial Healthcare closed its acquisition of Lake Forest Hospital in the posh northern suburbs of Chicago this past Friday, they have officially leapfrogged the geographic stronghold formerly held exclusively by NorthShore University HealthSystem (disclaimer: my employer, so I tread lightly). What this means for the health care market in the north Chicago suburbs remains to be seen, but there is no denying that competition for patients between the large hospital systems will be keen. After all, someone has to pay the bills. So what will the competition look like? First, patients like all things bright and shiny. So look for plenty of new construction. Nothing like a tasteful, brass-laden lobby with plenty of open air space and windows to bring in their distinguished "consumers." Second, plenty of advertising. Get the word out: there's a new kid in town. And their competition won't like this so they'll shout, too. As a result, money will flow freely to marketing and ad agencies. Look for these folks to profit handsomely from this deal. Third, court the doctors. This is likely to be their most challenging endeavor. No doctor wants to travel 45 minutes (one way, in good traffic) from the Chicago Loop (site of the Mother Ship) to the posh suburbs and back again. What a waste of time. Still, specialists will be "encouraged" to make the road trip to provide "unprecedented" service to the suburbs. At first doctors who reside in the area will be tasked with supporting the expansion, but as the need for a backup cavalry of physicians to assist with call schedules takes hold, specialists will feel the strain. As a result, more high-priced doctors will need to be recruited. While this will be a snap due to the hospital's location, those specialists will pine for the conferences and academic niceties of the Mother Ship. Geographic realities will once again come in to play. Local private doctors eager to sell their practices like new buildings with prestigious names, too. But some might not be as eager to work for a large corporate structure after having the independence of their own practice. Look for plenty of practices to demand a hefty price tag to assure a golden parachute to their more resistant senior practitioners as they consolidate with the Mother Ship. Look for the Mother Ship to be choosey as they try to cut costs. Fourth, insurers ever-so-happy when hospitals compete for their patients, will find two stubborn health care systems with huge overheads (Lake Forest Hospital's $400 million price tag did not come cheap). They may not see as dramatic price improvements as they had hoped initially. Still, pressure for patients will ultimately prevail so the hospitals will have to "improve efficiencies" (i.e., not rehire staff and run lean and mean) to remain solvent. Fifth, the "Northwestern Lake Forest Hospital" will have to have a unified electronic medical record system with downtown. This is no minor issue, especially when the Mother Ship has yet to consolidate under "one EMR roof" compared to their more local competitor. But the whole EMR story is increasingly becoming a commodity rather than a market differentiator and the difference between health systems will likely be short-lived. The real challenge will be for patients, as its quite likely that the two EMR systems used by the health systems competitors will not communicate with each other. What a mess. But this issue alone might become the fault in the EMR-exclusivity tectonic plates that our computer specialists will have to resolve to avoid liablity for health care malfeasance. All in all, its tough to see where costs will fall to patients in the short term. Maybe, just maybe, we'll see the affects of real competition on health care prices eventually, but just don't expect to see the affects anytime soon. Which Drug Reps Do Cardiologists Prefer? Rating pharma reps for the market researcher SDI (press release here), cardiologists named Pfizer's sales reps No. 1, with Merck's as No. 2. Rounding out the top five were Merck's Schering-Plough, AstraZeneca, and Novartis. So just why did these 300 heart doctors rank the reps as they did? Most graded Pfizer first for several different attributes, including their product know-how, which they considered the most important quality of a good sales rep. Pfizer's sales folks also were No. 1 for the sensitivity to doctors' busy schedules, for their professional conduct, and for their drug-sample offerings. In fact, the only category in which Pfizer didn't rank first was in giving unbiased comparisons with competing products. Schering-Plough's cardiovascular sales force won that prize. Wow. Amazing that "product know-how" was the most important quality of a good sales rep. Glad to know. But I also agree with the other important qualities mentioned that were important to cardiologists: "sensitivity to doctors' busy schedules" (knowing when lunch is served), professional conduct (apropriate gender with low BMI's and stunning dress codes), and drug-sample offerings (not just giving out those skimpy rebate cards, but real drugs). A noncompetition clause in the four doctors' employment contracts prohibited them from practicing medicine within 25 miles of the clinic if they left it. All four doctors have continued seeing patients at the clinic because their contracts allow them to work for 90 days after termination or resignation. The clause would have gone into effect in mid-February. Meanwhile, the four cardiologists filed a preliminary injunction in Marion County Circuit Court against Salem CardioVascular Associates (ed note: their former employers), asking that they be allowed to continue practicing locally. The possibility of having four well-regarded cardiologists suddenly leave the area prompted grave concerns at Salem Hospital, where the four doctors have admitting privileges. All four said they wished to remain in good standing at Salem Hospital. Judge Graves granted the plaintiffs' preliminary injunction and prevented Salem CardioVascular Associates from enforcing the noncompetition clause. Graves said enforcing such a clause could reduce the public's access to care and Salem Hospital's quality of service. "I do find the public interest in this case is greater than the private interest of the three board of directors of this (cardiovascular) organization," Graves said. So the moral of the story is, hospitals can be handy at invalidating non-compete clauses if you're a busy specialist who admits often to a local hospital who is also affected by your practice's non-complete clause. Somehow I think that if these cardiologists had been employees of the hospital these same arguments for invalidating their non-compete ("quality"/patient access) would have never have seen the light of day before the judge. The "Electromagnetogram:" A More Sensitive EKG? The portable magnetometer, invented by scientists at the University of Leeds, England, measures minute fluctuations in the heart's magnetic field so sensitively that it can detect heart problems in fetuses, as well as spot problems in adult hearts far earlier than an ultrasound or ECG. And the device is far cheaper than any of those other devices, too. All well and good, but getting people to understand the information produced will remain the largest challenge of this technology, not to mention the artifact created by things that create electrical interference, like pacemakers. Weren't vectorcardiograms supposed to supplant EKG's, too? Is Health Care Too Big to Fix? Mrs. Feinstein said Congressional leaders should simplify the gigantic health care bill and try to pass parts of it that would be understandable to the public. But she also acknowledged that the odds were long for a far-reaching measure. “I think big, comprehensive bills are very difficult to do in this environment,” she said. The Senate Republican leader, Mitch McConnell of Kentucky, said White House comments on health care suggested Mr. Obama was not listening to the American people. In Elyria, Ohio, on Friday, Mr. Obama said he was not going to “walk away” from the fight for major health legislation. If the bill becomes law, White House officials said, Americans will see its benefits and will embrace it. Republicans, however, have not come forward with any new proposals, and Mr. McConnell has said he hopes the health care bill is now dead. Which leads to an ominous question: is health care really too big to reform? With all the special interests at play, all it takes is one well-respected 93 year-old surgeon general to come out and ask some pointed questions to Congress and the President about their actions, and people take notice. No matter how you cut it, overt rationing of health care benefits is political cyanide. What both parties now understand is the deeply personal nature of health care paired with the special interest affilitations they must nurture have mixed to create an undrinkable potion to assure relection. So don't look for massive health care overhaul anytime soon. Instead, it will be peacemeal - bit by not-so-tiny bit. Like doctors taking a five percent cut rather than 21%, medical device companies taking a $20 billion tax instead of $40 billion, pharmaceutical companies having to accept competition from overseas, insurers forced to cover cover more of the populace or face extinction, hospital payments continually reduced, and patients having to pay more and getting less. It's our only way forward. "...fiscal policy is on an unsustainable path to an extent that cannot be solved by minor tinkering. The country faces a fundamental disconnect between the services the people expect the government to provide, particularly in the form of benefits for older Americans, and the tax revenues that people are willing to send to the government to finance those services. That fundamental disconnect will have to be addressed in some way if the budget is to be placed on a sustainable course." For now, the people have spoken clearly. We'll have to settle for a slower step-by-step approach. But this issue will not be so easily tabled. Thanks in part to the internet, we've seen that health care reform has become deeply divisive issue, separating socioeconomic and generational interests. The reality of funding such a massive overhaul without affecting health care benefits and taxes remains a huge challenge. But this division has also made it clear that a one-fix-does-all approach that replicates similar entitlement programs that are already fiscally unsustainable isn't going to work with Americans. Perhaps we should survey the other countries with viable health care plans and make a case for using the best ideas of the best models out there. Perhaps in this way, we should use a hybrid approach to reform based on data, rather than a special interest path to reform based on scare tactics. Oh, we might have to settle for more than one option for care delivery, like every other successful country in the world with health care for their populace has done, but would that be so bad? But then, looking to others besides special interests for help at constructing such a model hasn't ever been our modus operandi, has it? Lickteig runs a clothing store on eBay, where she's a "Gold PowerSeller," ranking among the top 1½ percent of merchants on the online marketplace. The 35-year-old family practitioner says she earned $120,000 last year on eBay, more than she did practicing medicine. Over the last 25 years, the number of Americans turning to hospice for end-of-life care has climbed dramatically -- from 25,000 in 1982 to 1.45 million in 2008, as more and more people choose to spend their final days in the comfort of home or a patient facility with a home-like environment rather than in a hospital pursuing aggressive treatments. I have been involved with hospice twice now - once with my father several years ago, and recently with my mother-in-law who just died of pancreatic cancer. There are many references out there about hospice, and for a general overview for those thinking about hospice for themselves or a loved one, I'd steer you toward this introduction (pdf), provided by the government. Through both processes I have had a chance to see several misconceptions about what hospice is and how it works for patients who elect to stay at home during their last days. I cannot speak to inpatient hospice services since my family members have not elected to use those resources. For those that might not have a lot of family around, inpatient hospice care is probably a better alternative. First, hospice is not the cavalry, swooping in to save you from the day to day challenges of caring for your loved one. They can mobilize the equipment, the 30-60 minute visits by their staff (I am unaware of doctors making house calls, but trained nurses assess the patient then relay the status to the treating doctor), or arrange for help bathing and dressing the person occasionally, but they will NOT be there 24/7/365 when things get tough to wipe their bottoms or give them their medications. They'll teach you how to do things, but at home, it's still up to the caregivers. Not that this is all bad. There is something very therapeutic about reconnecting in such an intimate way with someone you love. Still, it's the constancy of this care, even in the middle of the night, can take it's toll and create intense exhaustion and depression in caregivers, particularly when there is only one caregiver performing these duties. But being at home affords other familiar touches that just aren't replicated in inpatient facilities. Probably the biggest smile we received from my mother-in-law was when be brought our therapy-dog cocker spaniel up on her bed (she loved that dog) - a no-no at most inpatient facilities. Medication revisions are more limited than I expected. It was interested to see family members acquire a regimented approach to medication administration at first. Through no fault of their own, it was not uncommon to observe that every medication was ultimately trying to be forced down the gullet of their loved one in attempt to be conscientious caregivers. No one unfamiliar with medical care and medicine rarely realize that perhaps many of those medications become superfluous during the dying process. No one wants to withhold care initially, we're trying to help! But as their loved one's renal and hepatic function decline during the dying process, doses of medications (particularly narcotics or steroids) might need to be reduced slightly to maintain a certain level of alertness or to avoid drug-induced delirium from complicating their loved-one's care. Not uncommonly, drugs previously thought critical to the well-being of their loved one suddenly become less so or completely unnecessary. Obviously, making these decisions is very tough for lay people when you're in the trenches of day-to-day care or when a loved one can no longer swallow. I found this was a source of considerable angst. Remembering to communicate with the hospice nurses during their visits or calling to ask about these issues can go a long way to allay any apprehensions and misgivings, should this occur. In all, hospice was a very nice experience for us, but the experience was more about the family rallying to provide care than hospice providing the day-to-day care. I am aware of others who have found these limitations of what was offered at home by hospice to be an eye-opener. Many were caught off-guard about the need for their involvement and the depths to which their hands-on care would be needed. Hopefully now, a few more people will understand what's required and not feel so guilty about the care they deliver when they go through what we did. We don’t have our Marine combat cargo Gunnery Sergeant yet so a Navy chief filled in today. We had 147 helicopters land on the Comfort. Only 81 patients so you can see there were a lot of politicians trying to show the world how important they are. Plus media was all over CASREC today. Captain Sharpe, one of my roommates, just came in all pumped up about the day. He said, “This is what it’s all about. Helping people.” We talked about how much busier things are going to get. Last night he and I talked about amputations. You chop the limb off clean _ they call it a guillotine amputation _ cover it with gauze, and put the patient in the ward for a couple days. Then you have to bring him back and operate again to take out what’s died, rap it up, and put them away again for a couple day. This may go on 3 or 4 or 5 times until you open it up and nothings dead. Then you can close the skin flap and be done. The point is that a person with an amputation doesn’t get operated on once and done. So he’s concerned with the number of amputations we’ll see the number of surgeries will go thru the roof. We’ll just have to see. "And ever has it been known that love knows not its own depth until the hour of separation." It's the fastest growing "specialty" service in medicine: hospitalist medicine. These are the doctors who limit their practice to the care and management of patients admitted to the hospital. It has been wildly popular because it adds a shift-like work schedule to medical care for physicians while supposedly preserving their personal life. It also moves patients through the hospital faster, shortening length of stays. As one of our more esteemed hospitalist bloggers likes to boast: it's a "WIN-WIN!" At least until the hospitalist service gets too busy. It seems now that hospitalists services are limiting the number of patients they admit per day in response to their overwhelming "popularity." It's something akin to capping resident medical student ward services - they stop accepting patients when their census gets too full. I learned this today when a patient I was trying to manage with heart failure was just not turning the corner and needed to be admitted for more agressive inotropic therapy. Finding an admitting physician becomes an interesting exercise when the patient's primary care doctor no longer admits to the hospital (or is on vacation as was the case today) and the hospitalist service is no longer accepting patients because they're "capped" and you're trapped in a busy clinic. What becomes the pop-off valve? You guessed it: the Emergency Room. 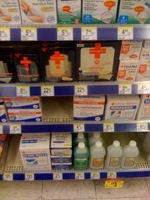 Even though the patient absolutely, positively does not need the Emergency Room. So much for cost savings. It appears hospitalist services are increasingly finding themselves overwhelmed with admissions and the promise of a reasonable lifestyle can be assured by either limiting the number of patients admitted to each hospitalist or hiring more of them. But new hires are becoming tougher to justify in this "do more with less" economic time in medicine. As a result, it appears existing hospitalists are quickly finding they've hit the peak speed of their clinical-care gerbil wheels. In a 1999 National Association of Inpatient Physicians (NAIP) survey, 25% of hospitalists were at risk for burnout, and 13% were in fact burned out. While these burnout rates were significantly lower than those documented in similar surveys of intensivists and emergency medicine physicians at the time, others suggested that his rate could increase as the field matured. News flash: At least at some hospitals, it looks like we're there. The Hospitalist Movement 5 Years Later. JAMA. 2002;287:487-494. Hoff TH, Whitcomb WF, Williams K, Nelson JR, Cheesman RA. Characteristics and work experiences of hospitalists in the United States. Arch Intern Med. 2001 Mar 26;161(6):851-8. "I would describe bankruptcy as the inability to pay one's bills," says Jim Nowlan, senior fellow at the University of Illinois' Institute of Government and Public Affairs. "We're close to de facto bankruptcy, if not de jure bankruptcy." Legal experts say the protections of the federal bankruptcy code are available to cities and counties but not states. While Illinois doesn't have the option of shutting its doors or shedding debts in a bankruptcy reorganization, it seems powerless to avert the practical equivalent. Despite a budget shortfall estimated to be as high as $5.7 billion, state officials haven't shown the political will to either raise taxes or cut spending sufficiently to close the gap. As a result, fiscal paralysis is spreading through state government. Unpaid bills to suppliers are piling up. State employees, even legislators, are forced to pay their medical bills upfront because some doctors are tired of waiting to be paid by the state. The University of Illinois, owed $400 million, recently instituted furloughs, and there are fears it may not make payroll in March if the shortfall continues. One wonders: after Massachusetts, could Obama's Senate seat be next? With the stunning election of the Republican Scott Brown from Massachusetts last evening, the pundits are awash in analysis and retrospection. The forces that aligned to elect a Republican to the "people's seat" in Massachusetts are too numerous to expand upon here. Not being from Massachusetts, it would be presumptuous of me to claim I understand all of the issues at stake. I am simply not a political pundit. But from a 50,000 foot perspective, I am amazed that the Commonwealth of Massachusetts, long the shining star upon which our national health care reform efforts were modeled, has effectively stalled (stopped?) the partisan railroading of the current health care legislation hashed out for months in both houses of Congress. Do they know something about their health care program that the rest of the nation doesn't? The economy? The costs involved? The lack of representation "at the table?" Tough to know. Maybe it was all of these things and more. But irrespective of the outcome, our country must reconsider the obvious: we have to do something to fix our health care crisis in America. We should not and simply cannot gloat over the victory. Too much is at stake. The reality is that many people simply cannot afford health care any longer. Many have no means to obtain insurance. Many, many people are unemployed and likely to stay that way for some time, yet their health care needs continue. So what to do now. Here are some thoughts (and I'd welcome others thoughtful perspectives). First, this debate cannot occur behind closed doors. I find it ironic that the very President who campaigned and fund-raised with almost uncanny use of the internet's reach, later decided to go underground with the late-stage health care negotiations securing deals for a cornucopia of interests behind closed doors. When the deals were exposed, most of America realized they'd been hoodwinked at great cost to themselves. Americans don't tolerate that for long. Especially in the era of the internet. Televise the negotiations on C-SPAN. Open the debate up. Clarify what's needed. Make the people the concern, not insurers, pharmaceutical companies, and hospital systems. Second, limit the scope of the legislation. Define where the priorities lie first. If the real need is "insurance reform" rather than "health care reform," then limit the legislation to that endeavor. Open up the market across state lines. Give people options. There is no questions that the tentacles of health care reach many different constituents, but attempting to change such a significant portion of our economy all at once seems counterproductive. Third, doctors and their patients need to continue to take a more active role in the process. Health care is becoming more like the internet: better communication between providers and patients is becoming the norm. Legislators better learn this, for doctors and patients will insist on understanding how any piece of legislation will affect their interactions and access. We are the foot soldiers of health care and in that way, the legislature would be well advised to support the troops first. Hmmm. I'm not sure, but at least he's got the right name and attitude. This race should probably be subtitled as "The People vs. Congress." In that respect, the People have already won. Thought I'd spread the link-love to Dr. John Mandrola, another fellow cardiac electrophysiologist from Louisville, KY who has been brave enough to enter the medical blog-o-sphere over at Dr. John M. Head on over and say "hi." Just Call Me "Doctor Snitch"
If yes, please provide the name(s) and address(es) of the other healthcare professional(s):"
Why someone would want to do this, I haven't a clue. 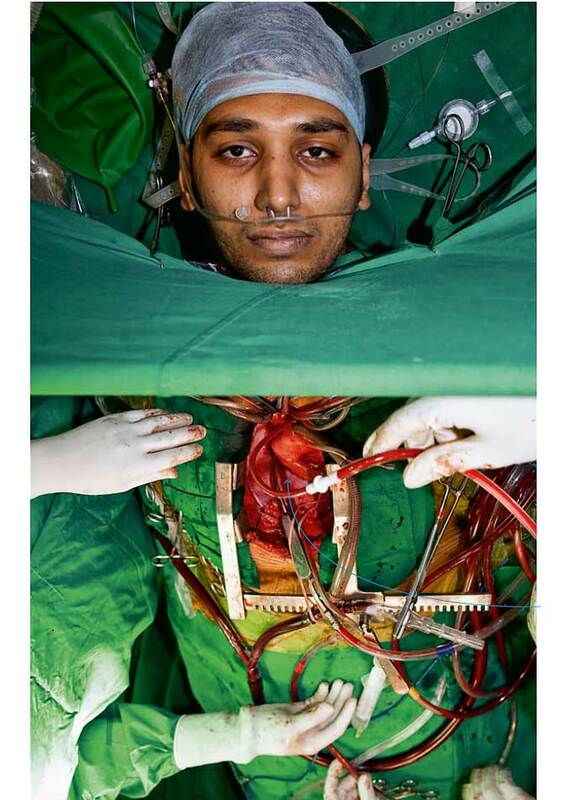 Swaroup Anand, 23, from Bangalore, is fully conscious as he undergoes open-heart surgery. An epidural to the neck, administered at the city’s Wockhardt Hospital, has numbed his body. Dr Vivek Jawali pioneered the technique ten years ago and has recently released a tutorial on DVD which gives a step-by-step guide to the procedure – sorry, but you can only get a copy if you’re a surgeon or an anaesthetist. Seems there would be considerable risk of respiratory compromise is the epidural went too high. But according to this video, over 400 cases have been performed, including a bypass with aortic valve replacement! I don't know... I'm not sure I could stomach the sound of the bone saw or, worse, if the surgeon said "Oh, crap..."
Chakravarthy MR, Jawali V, Patil TA, Srinivasan KN, Manohar M, Khan J, Jayaprakash K, Das JK, Mahajan V. "High thoracic epidural anaesthesia as the sole anaesthetic technique for minimally invasive direct coronary artery bypass in a high-risk patient." 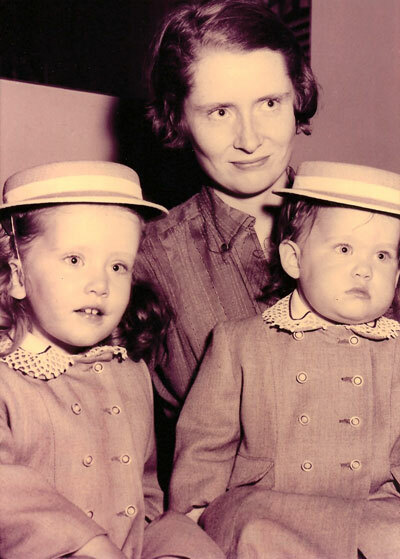 Ann Card Anaesth. 2003 Jan;6(1):62-4. The above is a retouched photograph of an 82 year old patient's chest x-ray with a pacemaker and pneumonia that hails from the photo gallery from National Geographic. You can download "wallpaper" sized images from their collection at the link above to adorn your computer monitor's background or the wall of your office or lab. "Paramedics came to take care of me, and told me my heart-rate was irregular - a result of exhaustion and dehydration." Your job, should you like to accept it, is to consider the differential diagnosis of what might have been the cause. So go ahead... make me proud! ... it only took a little over 16 seconds. Where Were the Techs and Nurses? Medicine is a team sport. No single doctor can do what they do without tons of help from nurses, technicians, clerical staff, and yes, even adminstrators. "An internal review, begun last May at the behest of federal investigators and in response to a patient complaint, has turned up 369 patients with stents that appear to have been implanted in their arteries unnecessarily, CEO Jeffrey K. Norman said in an interview yesterday. Patients began receiving letters alerting them to the finding early last month, and more notifications are expected as the review continues. "We take our interaction and the care of our patients with the utmost seriousness, and so we wanted to alert patients and their physicians to what we found," said Norman. In several cases reviewed by The Baltimore Sun, patients who received coronary stents at St. Joseph - purportedly to open a clogged artery to correct a severe blockage - have since learned they had only minor blockage, if any. One 69-year-old man was told his artery had a 95 percent blockage, yet the new review suggests something closer to 10 percent, which is considered insignificant. A 55-year-old woman who agreed to receive a stent after being told she had a 90 percent blockage has since learned she had virtually no problem and that she never suffered from the heart diagnosis that has consumed her life for the past 18 months." As bad as this might seem, realize that during angiogram procedures there are technicians and nurses that are responsible for prepping the room, administering meds and monitoring the patient. No physician works in isolation and everyone can see the monitors. Face it, the difference between a 95% blockage and a 10% blockage in a coronary artery is not subtle. So, yes, the doctor's actions in this case are unconscionable and should be met with swift action, but when something like this is allowed to occur it's much more than the fault of a single doctor. This was a system problem. A U.S. District Court judge in Fort Lauderdale, Fla., has denied the American College of Cardiology's request for a preliminary injunction to block a scheduled Medicare reimbursement cut for cardiology services. The ACC, its Florida chapter and other cardiology organizations filed a lawsuit against HHS Secretary Kathleen Sebelius on Dec. 28, seeking to stop the pay cut on the grounds that is based on the “erroneous and flawed” Physician Practice Information Survey. The ACC said Medicare payment cuts for 37,000 cardiologists are being based on the practice expenses of 55 doctors. In addition to denying the injunction, Judge William Dimitrouleas denied a request for expedited discovery and canceled a scheduled hearing. “We are deeply disappointed in the judge's decision not to hear our case on the preliminary injunction based on his opinion that the federal courts do not have jurisdiction to review Medicare physician payment determinations,” ACC CEO Jack Lewin said in a news release. Basically, the judge refused to hear our case on jurisdictional grounds, finding that statutory language governing the Medicare program precludes judicial review of the relative value units and the methods for determining the RVUs in the Medicare fee schedule. Interesting. So it seems that federal courts don't have jurisdiction over a federal program like Medicare's labyrinthine processes. Then who does? Recently, I've been recovering from some form of upper respiratory illness - of what form, I have no clue - but it was probably the dreaded H1N1 influenza virus or its equivalent (yes, I took the shots, but to no avail). Last Friday, with surprising reluctance, I conceded defeat and called in sick - something I almost never do. Somehow the thought of spreading contagion while wearing a mask while croaking, sniffling, coughing my way though conversations just didn't seem like the best thing for me or my patients. Gratefully, I'm on the upswing and only now have a slightly hoarse voice and an occasional cough that's improving, but it is interesting to reflect on why, despite knowing better, I felt so inclined to keep seeing patients despite my illness. First, there is the subliminal message that to give in to illness is a sign of weakness as a professional. Your patients need you and have a hell of a time getting an appointment. Your colleagues rely on you to cover all the geographic bases that need to be covered these days. Give up and they all suffer. Don't let them down. Second, are the economic disincentives to being sick. No work, no pay. Every professional experiences this, certainly, but the pressures to produce seem to be greater these days - maybe it's just me, I don't know - but always in the back of one's head are these economic realities. Third, for those of us who operate is the awareness of what a patient goes through to prepare themselves for surgery: the anxiety, the sleepless night before surgery, the arranging of a caregiver or ride home after the procedure. Pulling the rug out from a patient who has waited weeks to months to have their procedure is the last thing most of us wants to do. Finally, and most concerning, is the realization that you'll have to sit at home and do nothing. Sleep, cough, sniffle, wheeze, and look like an invalid. How pitiful. For God sakes I'm not doing anything! You expect me to lie here and do nothing? And yet, now feeling nearly back to full strength and ready to go, I'm sure we're all a bit better for it, economic realities be damned. The Holidays may be over, but there’s no rest for Santa or his cute little Congressional elves. So, after a respite that must have seemed all too brief, Santa has herded his diminutive (but ever-cheerful!) drudges right back into their Secret Workshop, to finish building for us kids the Healthcare We Can All Believe In. DrRich, for one, can hardly wait to unwrap it. But unwrap it he does with his usual sharp-witted writing style. Definitely worth a read. Twice. Gotta find out who's been naughty and nice. UIC has spent four years drafting plans for a $450-million patient tower as the centerpiece of a $650-million, five-year-long overhaul of its Near West Side campus. But an inability to finance the project has forced longtime CEO John DeNardo to ice those plans for now. He's settling for a $40-million repair job on the 500-bed hospital, which lost heat two days last month when the campus steam plant gave out. The capital crunch poses a threat to UIC, where the hospital serves as a training ground for the nation's largest medical school — more than 15% of the state's physicians cut their teeth at the place. Rival university hospitals are pouring money into new buildings, including Rush University Medical Center's $1-billion makeover next door. The wider that gap grows, the harder UIC will have to work to attract talented physicians and researchers — or the well-insured patients it needs to improve its bottom line. The medical center has never been a financial powerhouse, partly because it treats a high percentage of low-income patients. Roughly one-third of its revenue in recent years has come from the state's Medicaid program for the poor. Still, its 500-physician medical staff has built some nationally prominent programs, including in eye care, organ transplants and robotic surgery. Mr. DeNardo acknowledges the challenges but says the modest building overhaul will be enough to stay competitive and continue to provide a training center for medical students and residents. Joseph Flaherty, dean of U of I's medical school, says the hospital's deteriorating condition — especially in light of its competitors' gleaming new facilities — already has hurt its ability to recruit and keep top faculty. "If we don't start making some dust soon, people will feel that this is a sinking ship," Dr. Flaherty says. It's survival of the financially fittest right now - even for hospitals. One wonders how UIC's next door neighbors (Rush and Stroger) will fare should they close and their Medicaid patients are shunted their way. Given the mandate that Medicaid is being expanded and the burden falls squarely on the budgets of states after 2017, unless the government addresses these underfunded entitlement programs directly, it all seems like a colossal house of cards - even with "reform." Worn out, her face showed the toll that being a caregiver for her mother dying of pancreatic cancer has taken. "You know, there are some aisles in Walgreens I'd rather not frequent, like those for dressing supplies and Depends undergarments. And yet you know something? I'm at peace with that and wouldn't want it any other way." Now you know why I married her. Head on over and nominate your favorites from 2009. "In multivariate models adjusted for age, covariates, ED (erectile dysfunction), and the Framingham risk score, a low frequency of sexual activity in men (once a month or less vs ≥2 times weekly) was associated with increased risk of cardiovascular disease (CVD) (hazard ratio 1.45, 95% confidence interval 1.04 to 2.01)." And yes, the lead author was a woman. Could this be the start of a trend? The Nevada Supreme Court on Friday upheld a ruling that a Las Vegas police officer was not entitled to coverage for heart disease. Under state law, a police officer continuously employed for more than five years is entitled to the presumption that any heart disease is work related. Patricia Guesman, however, was denied coverage by both the hearing officer and a district judge. The three-justice panel of Ron Parraguirre, Michael Douglas and Kris Pickering pointed out that smoking is a predisposing condition to heart disease. Guesman was warned to stop smoking but failed to do so. So I guess when the Nevada state's finest develops any form of heart disease (i.e., critical aortic stenosis not typically associated with smoking) and treatment is required, the cost burden will shift from the state to the federal government. Gee, I wonder why they didn't exclude treatments for oral and bladder cancers, too? PS: All this while Nevada works to ease up on its smoking ban. I'll be gone from KORB on Vimeo. RFID tags: they have become ubiquitous additions to our electronic and medical worlds, concealed in automatic automobile tolling systems, key fobs, store and drug packaging, pets and even humans. No doubt the trend will continue to grow. Recall that RFID tags are used to locate and tract objects and come in two varieties: passive and active. While active devices contain a small battery, passive devices require no battery since they get their energy from the reader that transmits a signal that is received by the RFID tag's antennae and returns a unique identifier signal to the reader. 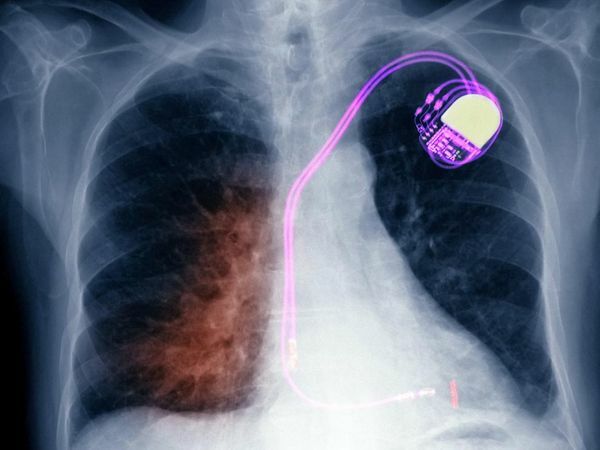 Surpisingly, it seems some lower frequency readers have the potential to interfere with implantable pacemakers and cardiac defibrillators (ICDs) when they are held in fairly close proximity to the implanted devices. Although there is in vitro testing evidence for concern for implantable pacemaker and ICD EMI at LF and HF (high frequency - 13.56 MHz), the FDA has not received any incident reports of pacemaker or ICD EMI caused by any RFID system. This could reflect a low clinical risk due to a number of factors: class III (minor) reactions are probably not clinically significant, close patient proximity to RFID readers may not commonly occur, and most reactions observed are transient. This could also be the result of underreporting; EMI issues are difficult to recognize as they are typically transient. If a patient is experiencing symptoms (e.g., lightheadedness) that they believe are the result of EMI effects from an identifiable source, the best advice is to move away from that source. To effectively mitigate implantable pacemaker and ICD EMI (electromagnetic interference) from RFID readers will require work on the part of both implant manufacturers and the RFID industry. During testing, some implantable pacemakers and ICDs were more susceptible to EMI than others. Active implantable medical device manufacturers are currently working to understand these issues, to develop industry requirements, and to design future devices appropriately. The RFID industry should also take note with regard to medical device EMC. With so many promising health care applications for RFID, it is inevitable that RFID and medical devices will increasingly function in close proximity. Modulated LF RFID is a near-perfect source to cause EMI for implantable pacemakers and ICDs. The low carrier frequency allows the signal to enter the implant, bypassing commonly used feed-through filters. Once inside the implant, the RFID signal is interpreted as a physiologic signal due to the slow pulse repetition rates. The pulse repetition rate of each RFID reader varies greatly as it is not limited by the Federal Communications Commission or defined by most RFID standards. Limitations for implantable pacemaker and ICD EMC do exist as these devices must sense in the physiological band. If it can be predicted that an RFID system will be near pacemaker or ICD patients, appropriate RFID technology should be selected. The RFID technologies that were most compatible with implantable pacemakers and ICDs in our testing were UHF RFID and continuous-wave RFID readers. Maintaining a reasonable separation distance between RFID readers and implantable pacemakers and ICDs will also help mitigate EMI. Although this article suggests a particular risk in the use of sample RFID systems, this is not the sole intended message. The potential advantages of RFID in health care seem promising, and the FDA is promoting RFID as a technology to reduce counterfeit drugs in the supply chain. An important message from the results of this study should be that RFID implementation should take implantable pacemaker and ICD EMC into consideration. Additionally, both patients and their cardiologists should be aware of the possibility of adverse reactions from RFID. We do not believe the current situation reveals an urgent public health risk. Hey, but it's still good to know. Seidman SJ, Brockman R, Lewis BM, Guag J, Shein MJ, Clement WJ, Kippola J, Digby D, Barber C, Huntwork D; "In vitro tests reveal sample radiofrequency identification readers inducing clinically significant electromagnetic interference to implantable pacemakers and implantable cardioverter-defibrillators," Heart Rhythm Jan 2010, 7(1), 99-107. Heart Rhythm Society's press release. Why Aren't Doctors Asking "Why the Secrecy?" With the turn of the calendar to the new decade, the reality of health care reform has set in for doctors and patients. Already cuts to physician salaries and patient access to care are becoming starkly apparent to those of us on the front lines of health care. I wonder why doctors have been so ineffectual relative to the other special interests “at the table,” in the health care debate? One would think that those with the knowledge base and skill to manage their patients would be the ultimate power brokers in the efforts of health care reform. Yet here we are, watching the commoditization of our profession at the hands of lawyers and politicians in Washington, eager to avoid being perceived as the spoiler. There appears to be a curious dichotomy, neither very effective, in physicians reactions to the current health care reform plan before our legislature. One is an almost incredulous, trusting, beneficent universe position of denial – if I work hard and try to help people, they won’t hurt me, right? Altruism is denial’s cousin in this sense: we need to help everyone and our very beneficence will protect us from harm. I will not suffer, my patients will not suffer, and my family will not suffer because anyone can see that I ask nothing. Selfless quality doctors by definition have no interest in protection of income, of time, of the profession – just appeasement glorified as humanitarianism. We see this as our professional membership leaders failed to ask about the details of the health bills before them nor inquired about the potential flaws inherent to comparative effectiveness research promulgated on large, unfiltered populations. Rather, our representatives capitulated and mollified themselves with platitudes: “I’m sure it will all work out, after all, 30 million more people will have insurance.” No thought about the 23 million who still won't receive insurance nor the impact that these policies to save money will have for the majority of patients that currently have coverage. The very idea that adult professionals are normally called upon to defend and define the boundaries of their profession is an anathema to these purists. We are scientists and technicians and humanitarians after all. And so, we wash our hands of the debate in the public yard. But none of this is in fact true. Underneath is the trusting assumption that if one works hard, if one hurts no one and sacrifices one’ life for the greater good, then the world will protect us. What a lovely simple position to cling to in the remaining months or years before the reform bill is implemented. It’s a stubborn adolescent holding on to a fair universe. The other popular position appears to be one of extreme passivity and martyrdom. The chief marker of this syndrome appears to be comments about seemingly catastrophic events in a tone of voice normally reserved for the weather. Our pay is set to be cut 21% while 30 million more people will expect to be seen. Pay for performance measures will be the norm, despite no proof of their utility at improving care. Gosh, doctor, it looks you’ll just have to be employees now. Never mind that the majority of doctors serving patients are not employees of large hospital systems. "Yep, we lost the farm in ’23, as your mother got sick and of course they repossessed the truck…”; the resigned laconic language of hard times. “Nothing I can do about it” has become doctors’ new tag line. Passivity or denial. As if doctors have no power. Sadly, as a political force perhaps we don’t. Harnessed with guilt about harming our patients if we set any reasonable boundary whatsoever, perhaps we are hogtied. We are the ones with the skills. We are the ones with the lifesaving relationships. And yet, as a profession, we feel powerless in this debate. It is interesting to wonder about the source of this empowerment paradox. To reinforce this observation, in the midst of the final negotiations that will affect every American's health care, a lonely voice in the sea of rhetoric came forth to insist on transparency to the negotiations to consolidate the most important piece of legislation that will affect every one of our patients' lives. Sadly, it was not the AMA or a collective of physicians voices like SERMO, but C-SPAN. If we as professionals have any gonads or interest in what will ultimately affect the health care of every American across our country, then we ALL should join C-SPAN in their insistence that “all important negotiations” affecting the reconciliation of the final health care bill be televised publicly. Mr. President, are you listening? Poll: How Will Loss of Medicare Consult Fees Affect Your Practice? Time to cut the denial. The ground is shifting. Until December 31, 2009 the cardiologist could charge a “physician consult” fee for getting out of bed, coming to the hospital, and evaluating a patient with a potentially life threatening problem. Medicare paid $195.76 for this middle-of-the-night work (the same rate as when done during the day). By eliminating the “physician consult” billing code, Medicare now advises the specialist to charge for a “hospital admission.” For two more months, Medicare will pay $175.67 for this service. However, without a change in current law, the physician’s reimbursement for a “hospital admission” will drop to $141.63 on March 1. 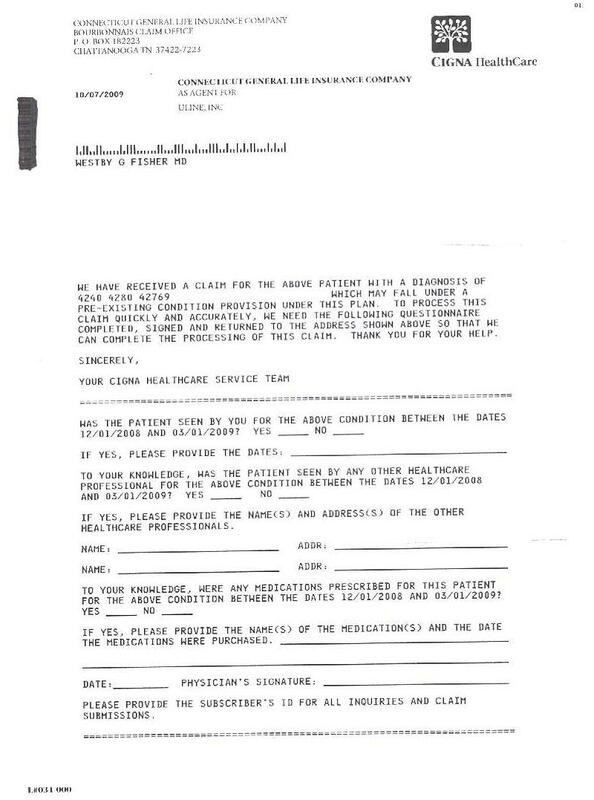 This is why the “Doc Fix” is so important for working physicians and their Medicare patients. Other recent and obscure changes in Medicare guidelines are potentially even worse. As of January 1, Medicare will not pay the consultant at all unless the admitting physician uses an “HI modifier” when billing Medicare for the initial admission. This means in order to get paid, the consulting physician must rely on another physician’s billing practice. Many physicians remain unaware of this obscure change (Medicare guidelines were altered as recently as December 17). The result? Many consultants will be denied payment altogether—yet another way to “save” Medicare dollars. For patients, the changes are already being felt. 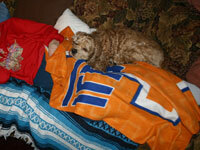 As of 1 January 2010 the lead dog, Mayo Family Clinic in Glendale Arizona, no longer accepts Medicare patients. I'd be interested to know, how do you envision the current physician payment changes underway affecting your practice? Move over internists and hospitalists, I just completed my first "unconsult" - a "initial hospital evaluation and management visit" that was, until 1 January 2010, formerly considered a consultation in the eyes of CMS. In the first glimpse of physician payment reform, we see that we are now being cloned as one in the same in the eyes of the government. To coin a former beer commercial, I'm not sure if it tastes great, but it certainly is less filling. The recently-released USPSTF guidelines changed the recommendations to start mammogram screening for breast cancer in women from age 40 to age 50 based on extensive review of the costs, risks and benefits. As a result, when spun as “women’s care under siege,” the recommendation has become a potent political weapon. Ironically in Texas, a new law was just enacted that requires insurers to pay up to $200 to screen for coronary artery disease based on controversial "entrepreneurial guidelines" proposed by SHAPE, a group of cardiologists that includes the entrepreneurs themselves. ... completely anatomically, of course.